What is Under Lock & Key? 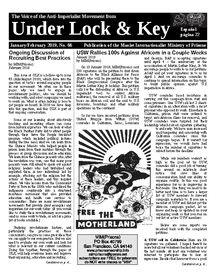 Under Lock & Key (ULK) is the voice of the anti-imperialist movement within prisons in the United $tates. Fighting the injustice system is just one part of the anti-imperialist struggle, and it is important that comrades not lose sight of the connections to the larger battle. For this reason, in addition to news about prisons and prison struggles, we also publish more general news and analysis important to the anti-imperialist movement. We welcome support and collaboration from those who are focused only on prison issues, but we also challenge them to see the importance of carrying out their work as part of a larger anti-imperialist strategy. 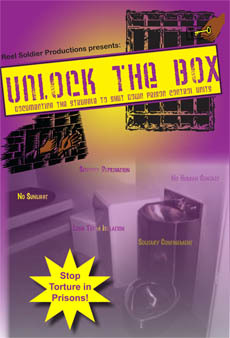 ULK serves as a forum to develop and promote agitational campaigns led by MIM(Prisons) and USW. Our current battles in the United $tates are legal ones. We encourage prisoners to join these battles while explicitly discouraging them from engaging in any violence or illegal acts. MIM(Prisons) and its publications explicitly oppose the use of armed struggle at this time in the imperialist countries (including the United States). ULK is edited and published by MIM(Prisons) and mostly written and illustrated by USW and other United Front organizations behind bars. ULK comes out every other month, with free subscriptions available for prisoners who cannot afford to pay. For people outside of prison, all issues of ULK, plus additional reports from within U.$. prisons, are available on MIM(Prisons)'s website. Imperialism is an economic system that V.I. Lenin defined as "the highest stage of capitalism." It became well pronounced in the early 1900s and is defined by the globalization of capital, the dominance of finance capital and the division of the world into imperialist and exploited nations; the latter Maoists see as the principal contradiction in the world today. As the economic system that dominates the world, imperialism determines much of the material reality that all inhabitants of planet Earth face today, including war, poverty and environmental destruction. This means that the status quo promoted by imperialist interests is the biggest hindrance to change. As the dominant imperialist power, both financially and militarily, the United $tates generally serves as the primary target of our attacks as anti-imperialists. What is the Maoist Internationalist Ministry of Prisons? MIM(Prisons) is a cell of revolutionaries serving the oppressed masses inside U.$. prisons. We uphold the revolutionary communist ideology of Marxism-Leninism-Maoism and work from the vantage point of the Third World proletariat. Our ideology is based in dialectical materialism, which means we work from objective reality to direct change rather than making decisions based on our subjective feelings about things. Our name stems from the legacy of the Maoist Internationalist Movement (MIM), and their party based in North America that did most of the prisoner support work that is the focus of what we now do. When that party degenerated, the movement turned to a cell-based strategy that we uphold as more correct than a centralized party given our conditions in the United $tates today. Defining our organization as a cell means that we are independent of other organizations, but see ourselves as part of a greater Maoist movement within the United $tates and globally. We believe imperialism is the number one enemy of the majority of the world's people; we cannot achieve our goal of ending all oppression without overthrowing imperialism. History has shown that the imperialists will wage war before they will allow an end to oppression. Revolution will become a reality within the United $tates as the military becomes over-extended in the government's attempts to maintain world hegemony. As revolutionary internationalists, we support the self-determination of all nations an peoples. We support nations which choose to delink from the imperialist economy, including the right of the internal semi-colonies to secede from the United $tates. Today, the U.$. prison system is a major part of the imperialist state used to prevent the self-determination of oppressed nations. It is for this reason that we see prisoners in this country as being at the forefront of any anti-imperialist and revolutionary movement. Within U.$. borders, the principal contradiction is between imperialism and the oppressed nations. Our enemies call us racists for pointing out that the white oppressor nation historically exploited and continues to oppress other nations within the United $tates. But race is a made-up idea to justify oppression through ideas of inferiority. Nation is a concept based in reality that is defined by a group's land, language, economy and culture. Individuals from oppressed nations taking up leadership roles within imperialist Amerika does not negate this analysis. The average conditions of the oppressed nations are still significantly different from the oppressor nation overall. MIM(Prisons) expresses general unity with all other groups and outbreaks against imperialism; mass movements against oppression have as many forms as forms of power. In this spirit, we insist on telling the uncompromising truth and discussing and criticizing the strategy and tactics of any given action. MIM(Prisons) encourages everyone, communist or not, to be involved in the struggle against imperialism. Our focus on prisoner support is not a dividing line question for us. In fact, we believe that there is a dire need for Maoists to do organizing and educational work in many areas in the United $tates. We hope some people are inspired by our example around prisons and apply it to their own work to create more Maoist cells and broaden the Maoist movement behind enemy lines. MIM(Prisons) distinguishes ourselves from other groups on the six points below. We consider other organizations actively upholding these points to be fraternal. Communism is our goal. Communism is a society where no group has power over any other group. Dictatorship of the proletariat is necessary. In a dictatorship of the proletariat the formerly exploited majority dictates to the minority (who promoted exploitation) how society is to be run. In the case of imperialist nations, a Joint Dictatorship of the Proletariat of the Oppressed Nations (JDPON) must play this role where there is no internal proletariat or significant mass base that favors communism. We promote a united front with all who oppose imperialism. The road to the JDPON over the imperialist nations involves uniting all who can be united against imperialism. We cannot fight imperialism and fight others who are engaged in life-and-death conflicts with imperialism at the same time. Even imperialist nation classes can be allies in the united front under certain conditions. A parasitic class dominates the First World countries. As Marx, Engels and Lenin formulated and MIM Thought has reiterated through materialist analysis, imperialism extracts super-profits from the Third World and in part uses this wealth to buy off whole populations of so-called workers. These so-called workers bought off by imperialism form a new petty-bourgeoisie called the labor aristocracy; they are not a vehicle for Maoism. Those who work in the economic interests of the First World labor aristocracy form the mass base for imperialism's tightening death-grip on the Third World. New bourgeoisies will form under socialism. Mao led the charge to expose the bourgeoisie that developed within the communist party in the Soviet Union and the campaign to bombard the headquarters in his own country of China. Those experiences demonstrated the necessity of continuous revolution under the dictatorship of the proletariat. The class struggle does not end until the state has been abolished and communism is reached. The Great Proletarian Cultural Revolution in China was the furthest advancement toward communism in history. We uphold the Soviet Union until the death of Stalin in 1953, followed by the People's Republic of China through 1976 as the best examples of modern socialism in practice. The arrest of the "Gang of Four" in China and the rise of Krushchev in the Soviet Union marked the restoration of capitalism in those countries. Other experiments in developing socialism in the 20th century failed to surpass the Soviet model (ie. Albania), or worse, stayed within the capitalist mode of production, generally due to a failure to break with the Theory of Productive Forces. What is United Struggle from Within? 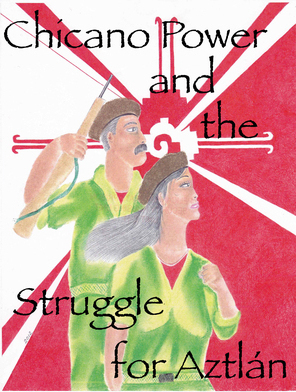 United Struggle from Within (USW) is a MIM(Prisons)-led mass organization for current and former U.$. prisoners. USW is explicitly anti-imperialist in leading campaigns on behalf of U.$. prisoners in alliance with national liberation struggles in the United $tates and around the world. USW won't champion struggles which are not in the interests of the international proletariat. USW will also not choose one nation's struggles over other oppressed nations' struggles. USW should work independently, but under the guidance of MIM(Prisons) to build public opinion and independent institutions of the oppressed in order to obtain state power independent of imperialism. Members don't have to agree with MIM(Prisons)'s cardinal points (see above) but they can't consciously disagree with any of them. Check out the pamphlet Fundamental Political Line of the Maoist Internationalist Ministry of Prisons for the questions above and much more. The article Maoism Around Us was written near the time of MIM(Prisons)'s founding, and explains how MIM(Prisons) fit into the Maoist Internationalist Movement at that time. See our Maoist Glossary for definitions of many of the terms we use. What is the Third World? China 2017: Socialist or Imperialist? We also recommend MIM's old FAQ and their Congress resolutions for a number of other Definitions, Historical and Political Questions.